KatsCandy.com Bimbo and Prissy Sissy Art: THE STRAPFORD POUND - WHAT WOULD YOU LIKE TO SEE?!? 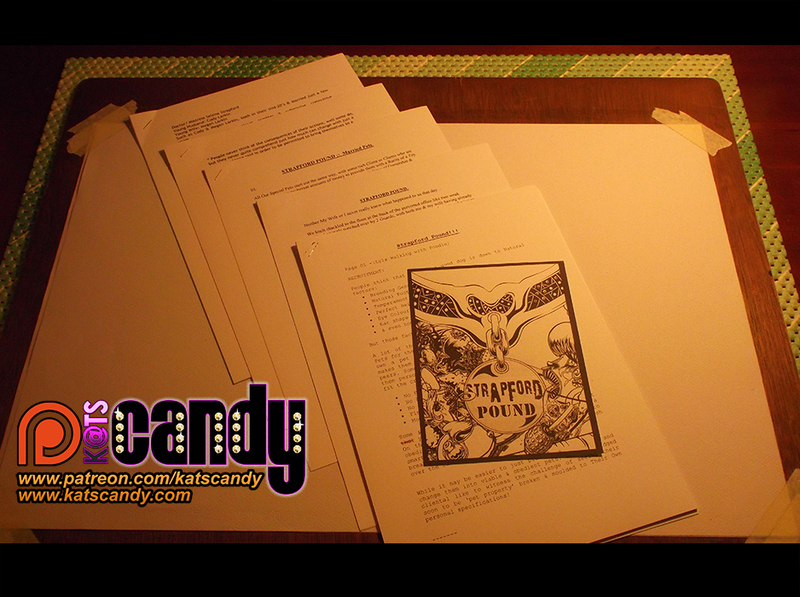 Pictured above are the 5 'Different' Strapford Pound * Story's * I have written over the Years. Every-time I would finish writing one, Days, Weeks or Even Months later I would then have moments where a completely different approach to a passage of (usually intro-) text would pop into my head, and so I would just begin writing a completely fresh story. ... And one of them was something which included a bit of Everything. WHAT WOULD YOU LIKE TO SEE?!? There are Core Elements to the Main Story & Characters which wont change, as the Main Character Images/ Appearances have already been Drawn & Coloured. BUT... I'm actually trying to mix up the order of the story the artwork originally outlined. If any of you have any Suggestions or Idea's of Scenario's you would perhaps like to see, feel free to leave a comment below. And I will see what additional elements I can blend into 'The Strapford Pound World'. p.s. PLEASE REMEMBER, THE STRAPFORD POUND COMIC PAGES (WHEN POSTED) WILL BE EXCLUSIVELY ONLY ON MY PATREON & ONLY AVAILABLE TO *MY PATRON'S*. The couple bred at the same time most humiliating for the man.